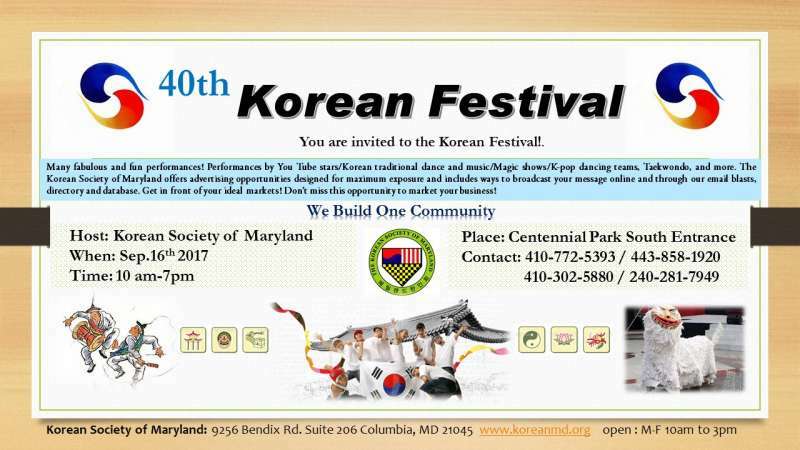 On Sept. 16th,2017, come to Centennial Park in Ellicott City to experience the Korean culture. 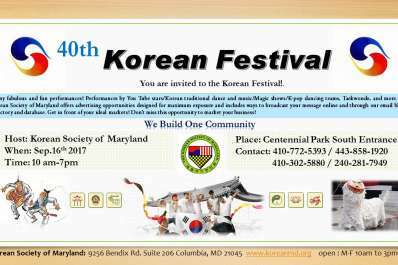 If you are interested in supporting this unique cultural event, contact us at (410)772-5393 or email info@koreanmd.ord. This event is FREE ADMISSION, with plenty of traditional food and drinks available for purchase from our friendly Korean and international vendors. Spread the word, share the event on your wall or invite your friends to be art of this unique and exciting festival where you will experience the best food in the DMV. Please note that there will be NO public parking at Centennial Park. Satellite parking lots with shuttle service will be utilized. 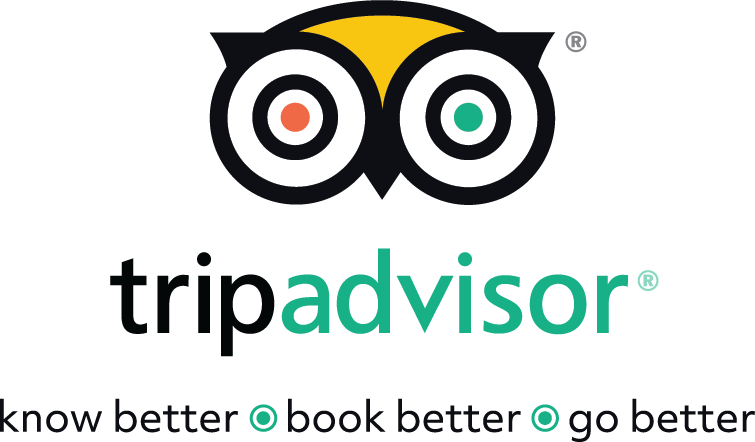 We have 6 parking locations and shuttles will be going back and forth to take and pickup visitors.